Why Choose Xtreme Tile & Marble? I appreciate every inquiring customer, especially those seeking that unique, one of a kind surface. I understand why you expect a quality appearance from your marble, granite, travetine, stone, tile, or wood surface. 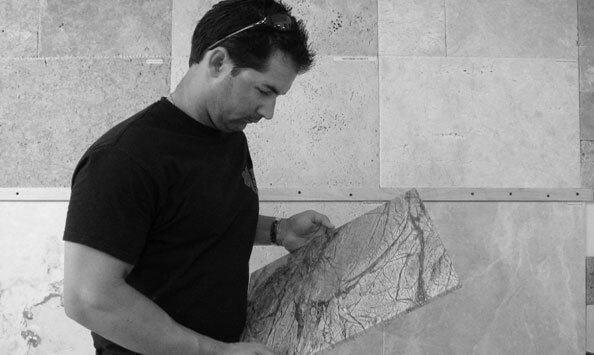 View our work and when you are ready for a quality material installation, let me and my entire Xtreme Tile & Marble team deliver to you the joy from your beautifully fine crafted natural wall, counter, shower, ceiling, or flooring surface. Satisfaction in my personal guarantee! James Harpold, Owner. Over 20 Years, Materials Master Craftsman. 2015 Xtreme Tile & Marble · www.xtremetileandmarble.com · (772) 370-8308 · All Rights Reserved.